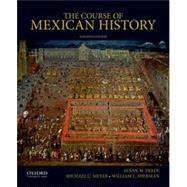 by Deeds, Susan M.; Meyer, Michael C.; Sherman, William L.
Susan M. Deeds is Professor Emeritus of History at Northern Arizona University. Michael C. Meyer was Professor of History at the University of Arizona. William L. Sherman was Professor of History at the University of Nebraska-Lincoln. 23. The Porfiriato: Order and Progress? 24. The Costs of Modernization?